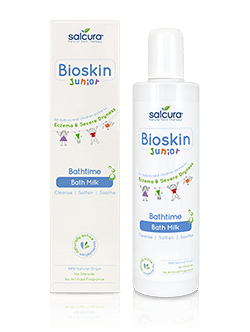 Salcura Bioskin Junior Bath Milk has been especially developed to ensure optimum care and hydration even when bathing. 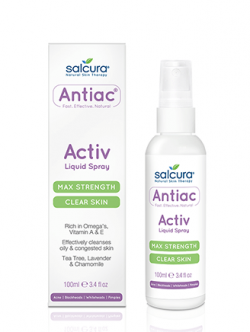 Salcura Bioskin Junior Bath Milk is 98% natural, with Calendula for skin-healing & cooling, Chamomile for its anti-inflammatory & calming effects, and Lavender for its anti-bacterial and balancing properties. Salcura Bioskin Junior Bath Milk is specially formulated for children with the most sensitive of skin. Salcura Bioskin Junior Bath Milk is non-slippery and easy to use with only a little bit required to get the bath smelling and feeling nice. For babies and infants, swirl 1 capful in lukewarm water and bathe as normal. For older children, use 2-3 capfuls.